We were really pleased to get all the great feedback our Livin’ La Vida Linux blog post. People sure love Linux! A few people asked about some other Linux distributions, including Fedora 25 and CentOS, so here’s some information how these two work with Xojo. 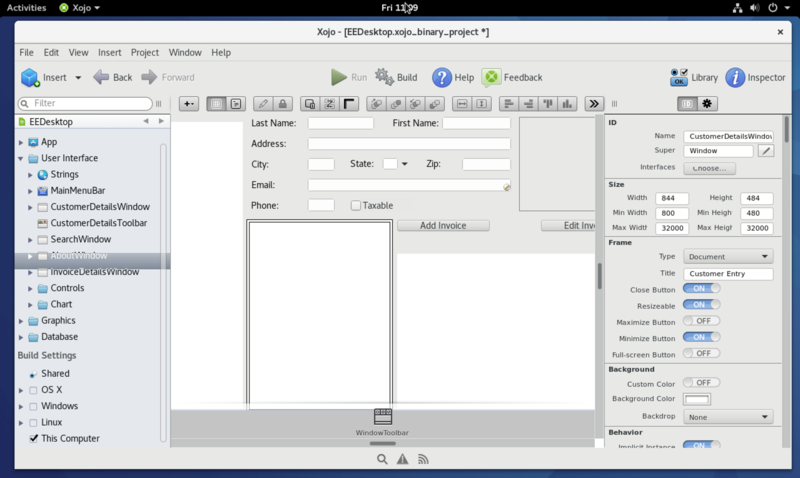 Update August 2017: I’ve updated this post with the commands needed for Xojo 2017 Release 2 which adds support for GTK+ 3 and HiDPI support on Linux. Upgrade today! Update for 2017r3: Starting with 2017r3, the Xojo IDE is now 64-bit. That means you won’t need to install the 32-bit libraries unless you plan to run 32-bit apps. I had not really used Fedora, but it was mentioned to me and Ars Technica called it the best Linux distro of 2016, so I thought it was worth looking at. I installed it in a VM in VMware Fusion and it was pretty speedy. It installed fine in a Fusion VM, although I had to manually choose that I wanted the GNOME Desktop — otherwise I just got a simple server installation without a desktop. If you are new to Xojo, head on over to the Get Started page in the Xojo Dev Center for links to QuickStarts, tutorials, videos and other materials that will help you get started with Xojo programming and making your own apps. Next Post What is Xojo?